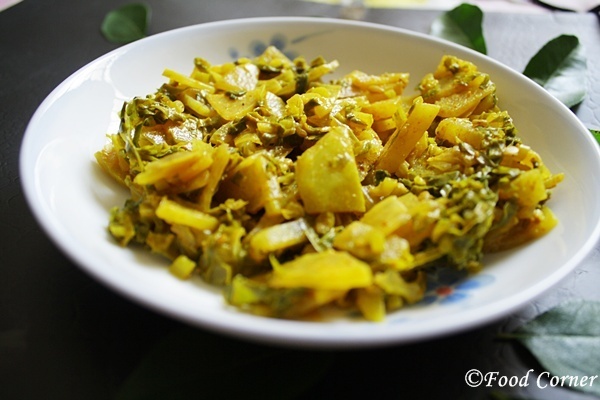 Knol Khol also known as Kohlrabi is a vegetable which we can easily find in Sri Lanka. We call it as Nokol (නෝකෝල් ).It is a vegetable rich in minerals and dietary fiber. 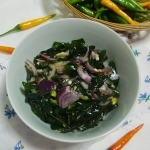 In Sri Lankan Cooking, there are few different methods to cook Knol Khol. 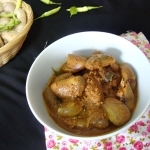 This recipe is for a simple and mild spicy Knol Khol curry. In this recipe I have used red chilli powder; instead you can use 2 green chillies which give lighter appearance for the curry. Wash and slice Knol Khol. 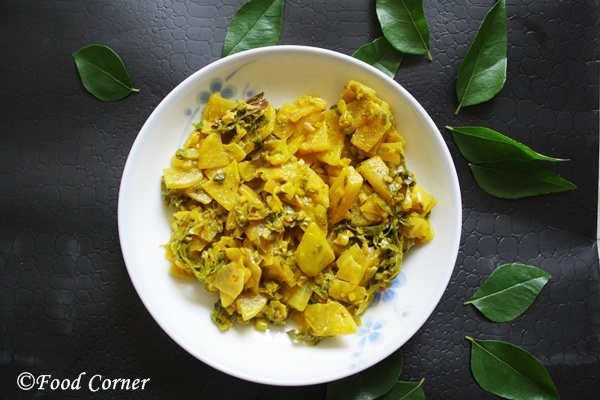 (Remove the skin) .If there are leaves with knol khol, slice them too.They add much taste to the curry. ingredients except thick coconut milk. Cook for about 10 minutes in law flame until Knol Khol is cooked. Adjust salt and simmer for few minutes. 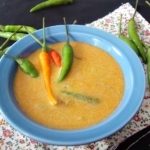 Notes: Use green chili instead of red chili.The appearance will be lighter and also you will get a little bit different taste. 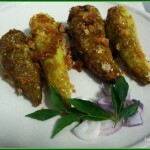 This vegetable we get in Bangalore but never tried , new recipe to me. 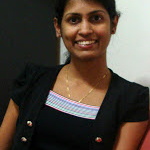 Thanks for sharing !!! Looks like a delicious curry! 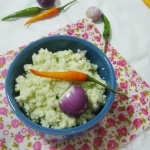 In Bengali, this vegetable is called olkophi. Lovely Curry . But recipe is new to me… Thanks for sharing. 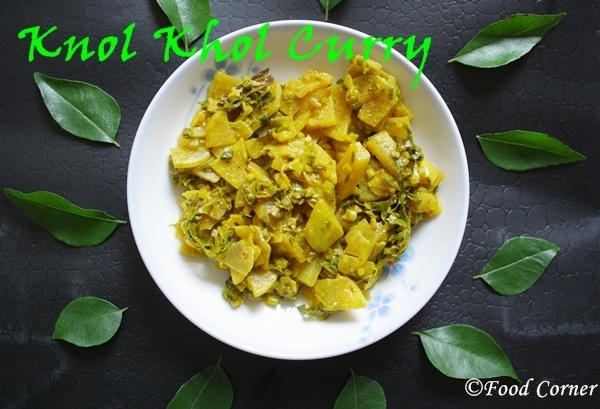 A new dish to try with knol khol, thanks for sharing.. 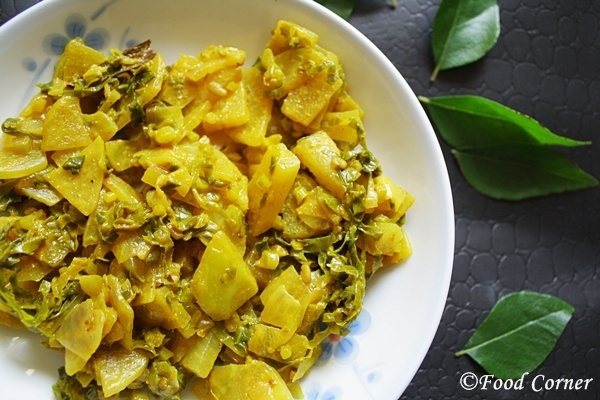 I made a similar dry sabzi today, lovely curry and I am so curious to know how the pandang flavour would taste in this! 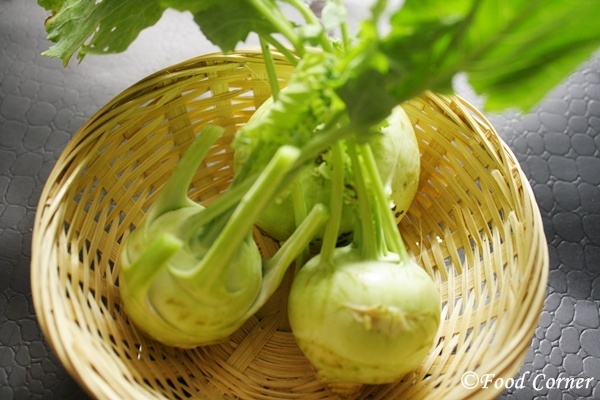 I have never tried preparing Kohlrabi. Should give it a go now. 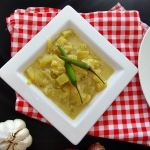 healthy curry… would like to try this veggie…. 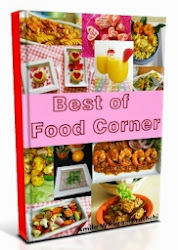 Very new to me, a must try recipe Amy. Curry looks too delicious. Not sure we can get knol khol easily in the UK but that looks really nice!